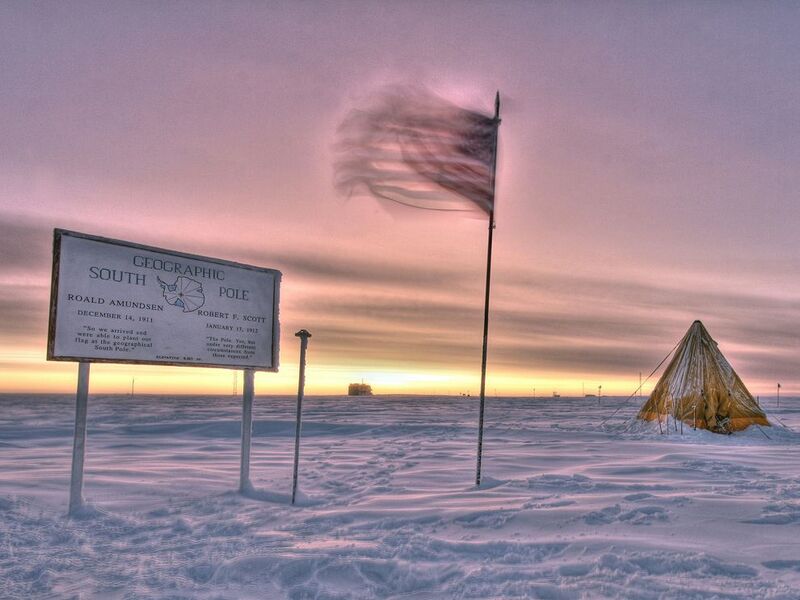 Photo: Sign, American flag, and an old tent welcome visitors to the Geographic South Pole. Sunrise begins at the Geographic South Pole after the long winter. The sun rises and sets only twice every 12 months here. During six months of winter, about 50 people live and work at the Amundsen-Scott South Pole Station, maintaining the facility and supporting science projects.